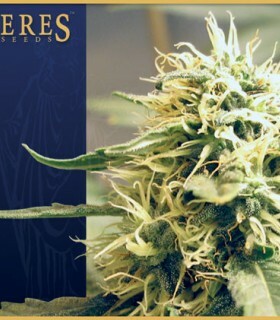 Ceres Cannabis Seeds from Holland are a small but perfectly formed cannabis seedbank. Oaseeds are pleased to offer their cannabis seeds and medical marijuana strains through both retail and wholesale channels. Having won numerous awards for strains such as Ceres Purple Feminized Seeds, Ceres Fruity Thai, Ceres Skunk and Ceres White Panther. Ceres are going from strength to strength in the medical marijuana seeds industry and offer excellent strains at good prices. WHERE IT ALL BEGAN Kush has made a glorious come-back. This pure indica strain with its roots in Afghanistan and India, grows hard nuggets on a short compact plant. It has a specific herbal hashish taste and a comfortable buzz. 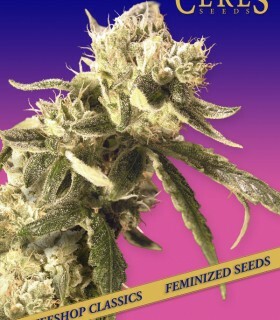 Kush is a quick flowering plant and very easy to grow. "COME RAIN, COME SHINE "
"FRESH CITRUS FLAVOR, LONG-LASTING HIGH!" 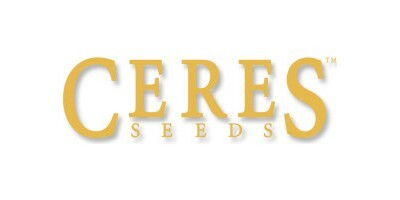 Ceres Seeds is a Dutch company of 100% autochthonous seeds. Its history dates back to 1988, when its owners started their first seeds and cuttings. There is a famous childhood story of one of them, buying cuttings and growing supplies in Positronics with his grandmother! Ceres Seeds' team was learning the ropes back then. In the early 1990s, they worked for the old and infamous Dreadlock Coffeeshop, as well as for renowned seed companies like Sensi Seed Bank, where they learned how to produce and cross healthy and strong plants, and how to know good cannabis when they saw it. The original Ceres seeds came from the weeds imported from Jamaica, Thailand and Colombia that formed the stock of many coffee growers in Amsterdam before modern varieties took control. With a little help from his friends throughout the Dutch cannabis industry, Ceres Seeds also acquired some dominant Indica strains that had already been in the Netherlands for many generations. In the late 1990s, seed companies began to appear everywhere. The Ceres Seeds team was surprised that many of these companies were producing F2 varieties (hybrids crossed with hybrids). They decided to get serious and jump into the game, with their own varieties (F1). They approached breeding with the simple philosophy of easy, reliable and 100% stable strains. 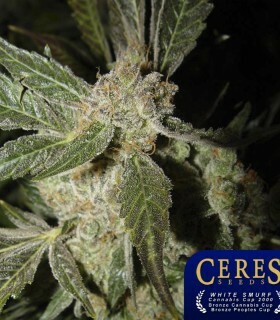 Ceres began with the local genetics that were available from Sensi, in addition to the strong indica seeds they had collected over the years in Holland. "Then,"says Ceres,"we remembered the old sativa seeds from all those bags of grass we had smoked ten or fifteen years before. We began to test, cultivate, experiment, select and reproduce using the best seeds from all our collections. In 1999 they took the big step and started Ceres Seeds. They took the name of Ceres, the Roman goddess of agriculture and maternal love. Its name derives from the Proto-Indo-European Proto root "ker", which means "to grow", which is also the root of the words "to create" and "to increase". The first Ceres F1 variety, White Smurf, was introduced in 2000. With the invaluable help of the well-known name "Smurf" from an established local coffee maker. This variety won two High Times Cannabis Cup awards that year. This gave Ceres the encouragement he needed. 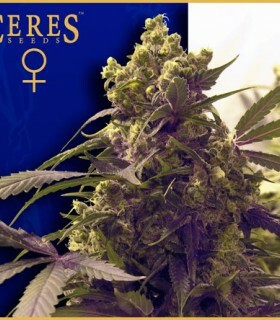 Ceres continued to work on their stock of awards and launched the website www.ceresseeds.com, adding other varieties such as Northern Lights x Skunk #1, Ceres Kush and White Indica to their offerings. Ceres also designed their packaging. This design has become something of a standard in the cannabis seed industry. Home of Ceres Seeds in Amsterdam, it's the Hempshopper store. Hempshopper opened its doors at the Nieuwezijds Voorburgwal in 2004. From here, Ceres Seeds helped produce the first Grass-A-Matazz in 2005. The Grass-A-Matazz is a Jazz' n Grass party, with legendary John Sinclair. Held during the annual High Times Cannabis Cup, it represents the roots of blues and jazz in cannabis history. At the second Grass-A-Matazz party, Ceres presented its new Fruity Thai variety. The following year, this variety won second prize in the Cannabis Cup in the Indica category.